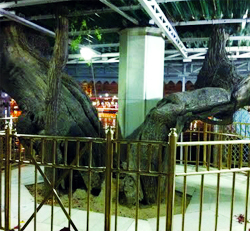 Ber Baba Budha Sahib, the ancient 'ber' tree which is over 400 years old, in the Golden Temple complex needs more upkeep to ensure its longevity, feel the experts from Punjab Agriculture University (PAU) who are in the city as part of the annual exercise to conserve the centuries-old 'ber' trees at the holy shrine. The team led by Dr Paramjeet Singh and Dr Narinderpal Singh recently pruned Ber Baba Budha Sahib, besides cleaning up the lower part of its trunk. The lower portion of the tree has turned hollow due to old age as well as the devotees throwing a variety of things under the tree as a "matter of faith". While cleaning it up, the PAU team recovered ancient coins, polythene bags and even a pair of spectacles underneath it. Subsequently, the area around the tree was dug up and replaced with fresh earth, besides filling up the tree's hollow portion. 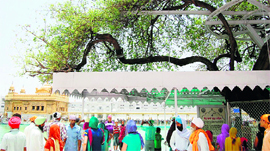 While acquainting the SGPC officials about the condition of the tree, experts stressed on the need to remove a part of marble flooring around it to widen the area covered by earth. “This will facilitate proper sunlight, air and water to the tree." Similarly, the experts said Dukhbhanjani Ber, which is on the banks of the 'sarovar' is also receiving less water after the lower part of the 'sarovar' was cemented. Besides, the marble flooring around it is also resulting to high temperature these days, which causes early drying up of the tree. Here too, experts say the marble stone should be removed and the area covered by earth be widened. The experts said the SGPC should sensitise the devotees against “offering” eatables and other items under the tree. It should also be ensured that they don't touch these trees with greasy hands after partaking of the 'parshad', the experts said. According to them, the SGPC as well as the pilgrims need to cooperate to ensure that these trees stay green for generations to come. The PAU experts have been conserving Ber Baba Budha Sahib, Dukhbhanjani Ber and Lachi Ber at the Golden Temple complex for the last seven years. Ber Baba Budha Sahib had gone fruitless a few years ago, but with their efforts it has again started bearing fruits again. However, the problem of insects still persists in the tree and the experts are now trying to put an end to it. 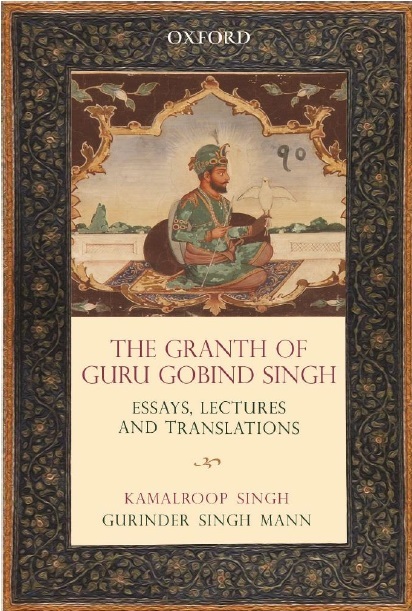 SGPC secretary Dalmegh Singh said they will follow the instructions of the experts to ensure long life of these ancient trees which also hold great religious significance.